A very beautiful day right here at downtown Kuala Lumpur. But the weather forecast reports that it will rain heavily later (that) afternoon. So don't ever underestimate a good weather! An engineering marvel that brings so much awe to visitors from around the world. 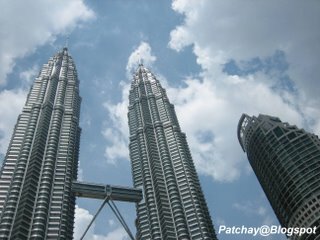 No stranger to me, it is the Petronas Twin Towers. Standing majestically, it has been the pride of all Malaysians today. Jingle Bells are coming. 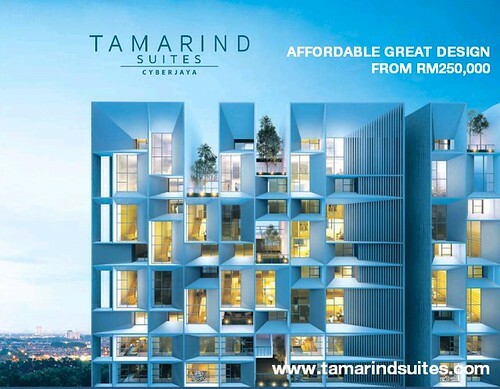 The Malaysia Year-End Mega Sales is also back! What have you bought for your loved ones this Christmas? 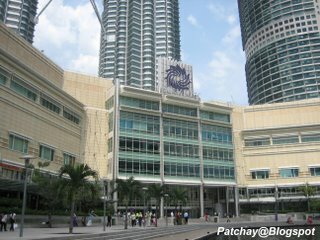 No doubt, Suria KLCC is a good place to shop for all your seasonal needs. 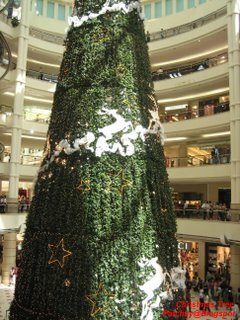 The mall has just put up their tallest tree. I was at the second floor when I took this picture. Not able to take the whole tree, but never mind. Having Christmas carols played in the background remind me of the enchanting and joyous year-end celebrations that I had last year. Really, everyone I met was already in Christmas mood. 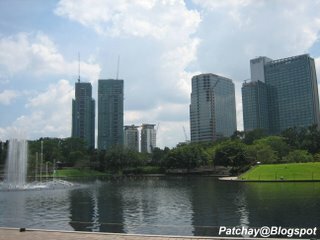 Tags: Malaysia, Kuala Lumpur, KLCC, Christmas and Patchay-Blogspot.